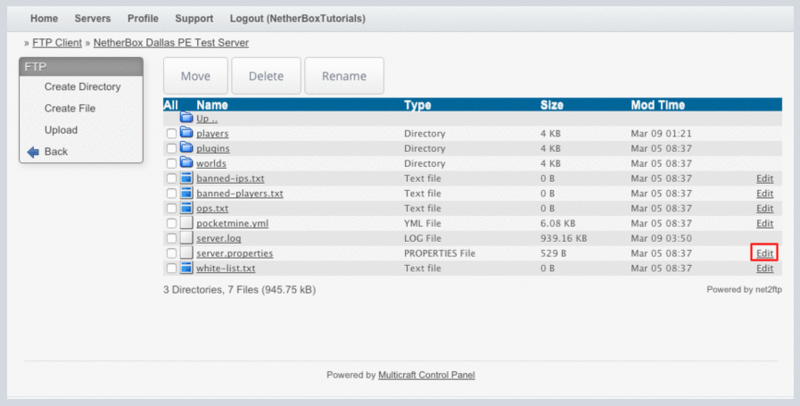 The Minecraft Server Slots Selection addon is a feature which allows you to pick the amount of players your server can hold without upgrading your plan to the highest level. If you are on a budget, and you're looking to support lots of players, this is the addon just for you. How do I up the slots of my server with this addon? Once purchased, upping the servers' capacity is very easy. 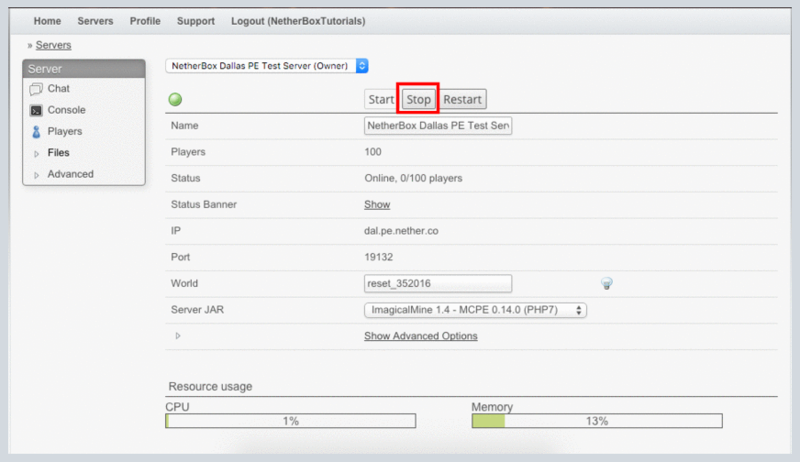 Step 1: Fully stop the server by clicking the stop button. Step 2: After the server is fully stopped, click on the "Files" dropdown near the left, and then click on "FTP File Access." Step 3: Once you clicked on the "FTP File Acces" text, enter your Multicraft account password in the password blank. 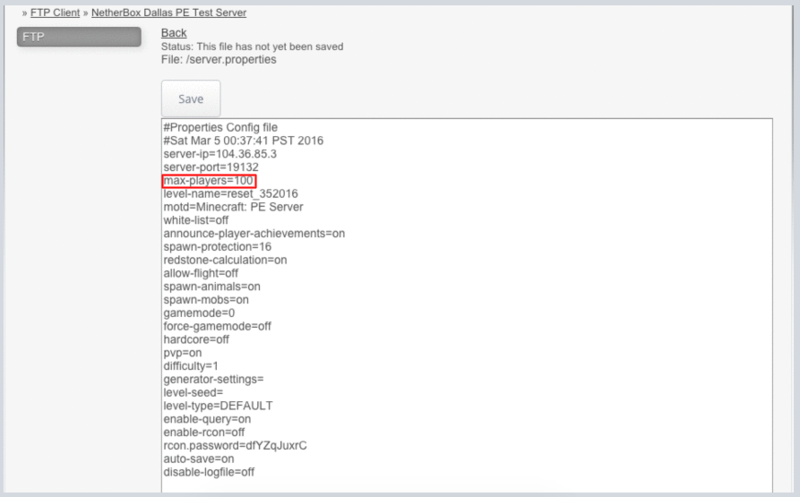 Step 4: Once you have successfully entered FTP, click "Edit" to the right of the "server.properties" file. Step 5: Inside this file, edit the value after "max-players" to whatever number you wish. Remember, this will ONLY work if you have the according addon purchased on your account. Step 6: After you enter the desired player count, make sure to save the changes by clicking the "Save" button near the top of your page. Step 7: After you've properly saved it, head to your servers' main control panel landing page and restart the server. Once the server reboots, your changes will be in affect. Still having issues, or have additional questions? We're here to help! Click here to open a ticket so we can help.